Sydney is a diverse and exciting city. Whether you want to hit up a beach, explore the coastline, visit a funky bar, dance all night or spend a lazy day at the harbour, you’ll find it in Australia’s largest city. With so many neighbourhoods to choose from and places to see, it can be difficult to figure out where to stay in Sydney. In this guide, I’ll list the best areas to be in, and the best accommodation options available. Prices are listed in USD unless otherwise noted. If you just have a few days, this is definitely where to stay in Sydney. Here you’ll be centrally located to all of the main tourist sites and will have fabulous views of the harbour. There are numerous cafes, bars, restaurants and pubs in the area as well, so you’ll never be too far from a meal… or a drink. Even though this is also the banking and business area, it’s still the best place to stay in Sydney. There are endless accommodation options here, you’ll definitely be spoiled for choice. We’re listing a mix of properties below, from budget to midrange and top end. This pod style hostel accommodation is great for those on a budget. It’s centrally located to Darling Harbour, a 10 minute walk to the train station, and offers guests use of the shared kitchen facilities. Click here to see the current reviews and prices on Booking.com. This hostel has the most amazing rooftop views of the Sydney Harbour, Opera House and Circular Quay! Located in the heart of the Rocks District, this hostel is surrounded by historic buildings and sites. Sydney Harbour YHA offers both private and dorm rooms, private bathrooms and wifi. Click here to see the current reviews and prices on Booking.com. 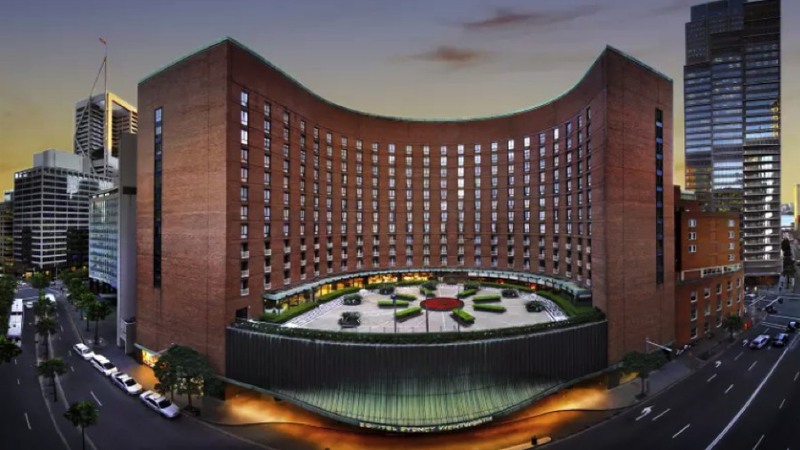 Located on Darling Harbour, this is one of the top 3 hotels in Sydney and one of the top 10 hotels in all of Australia in 2018! 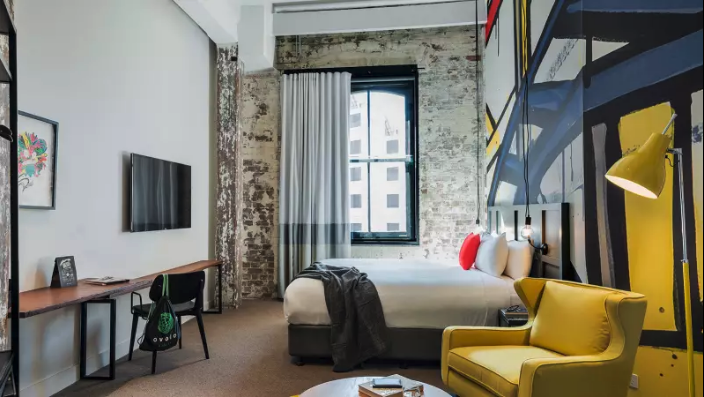 This boutique property is one of the coolest places to stay in Sydney, and one of the most Instagrammable. There’s a self serve candy and coffee bar, free WiFi, 24 hour fitness center and an onsite lounge. Click here to see the latest price and current reviews on Booking.com. 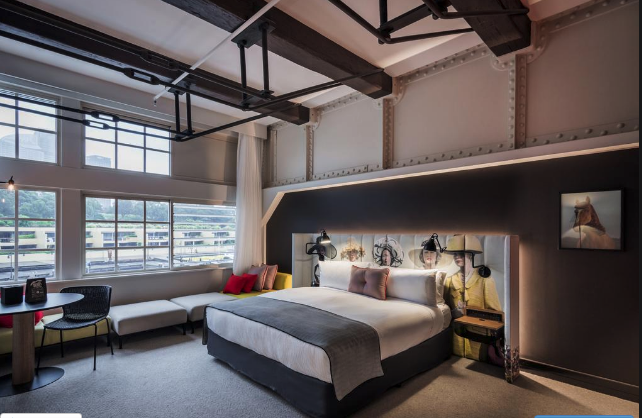 Not only is the name fun to say, but this Ovolo Hotel is rated as #1 in Sydney! Located in the neighbourhood of Woolloomooloo, this property technically isn’t in the CBD, but it’s bordering it. Located on the vibrant Finger Wharf, just a 15 minute walk will bring you to the Opera House, while the botanical gardens are right next door. Boasting a beautiful rooftop garden with stunning views of the Circular Quay and the Skyline, this historic hotel retains its charm and elegance. The onsite restaurant offers a free breakfast each morning, and the lounge area has a balcony which overlooks George Street. Don’t miss this hotel in The Rocks District. Click here to see the current reviews and prices on Booking.com. This Aparthotel offers a heated pool, hot tub, sauna, fitness center, and unlimited wi-fi. The property is just a 15 minute walk to Darling Harbour. Click here to see the current reviews and prices on Booking.com. This 5-star hotel is located in the heart of the CBD, just a 5 minute walk from the Circular Quay and overlooking the Sydney Harbour. Just a 15 minute walk will bring you to The Rocks, Opera House, and Royal Botanic Gardens – you really can’t beat this location. Wander around Circular Quay, with Opera House visit. Drink Beer at the Lord Nelson Brewery Hotel. Established in 1841, this place is home to Australia’s oldest pub brewery. Grab a pint and enjoy! 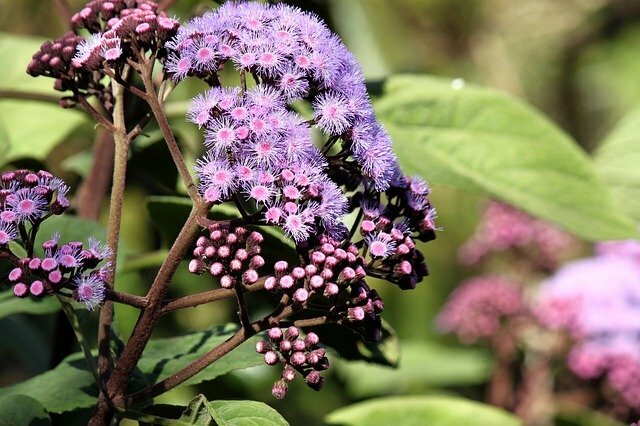 Visit the Royal Botanic Gardens. 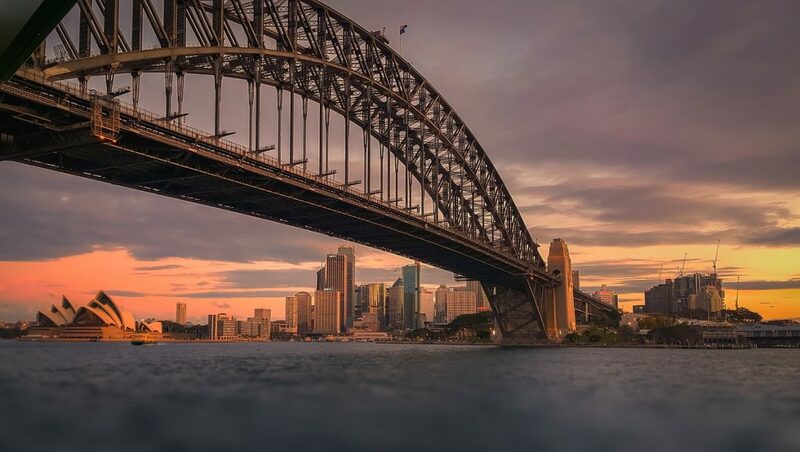 Climb the Sydney Harbour Bridge – Although at a cost of between $163 – $383 AUD ($127.50 – $300 USD) depending on tour and day, it may be more worthwhile to take the free walk across the bridge on the pedestrian path. Note: If you do want to climb the bridge, you will need to book in advance. The Rocks District. This is the historic area, and is an awesome place to hit up a pub. The streets here are cobbled and there are great markets, restaurants and bars. Picnic in Hyde Park. Put together a cheap and easy meal, grab a bottle of wine, lay down a blanket and enjoy the park with the locals. Take the ferry from Circular Quay to Manly. If you’re looking for a chilled out beach holiday, complete with tanned (and toned) bodies, then this is where you’ll want to stay in Sydney. 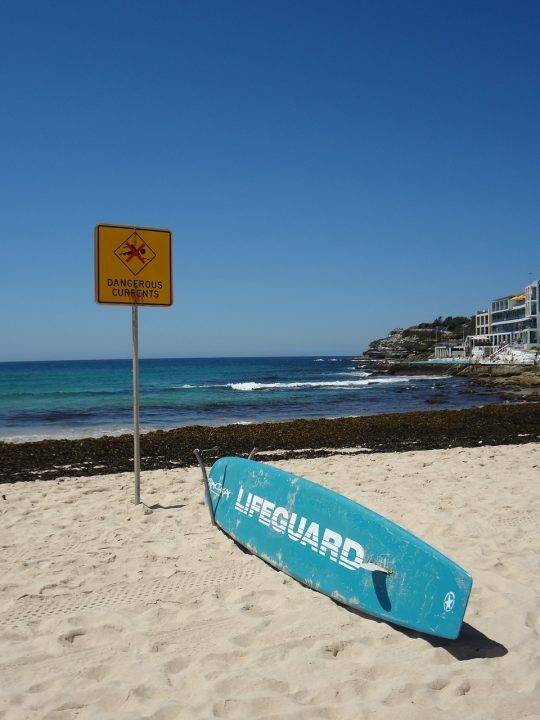 At Bondi Beach, you can swim, surf, relax, people watch and repeat. 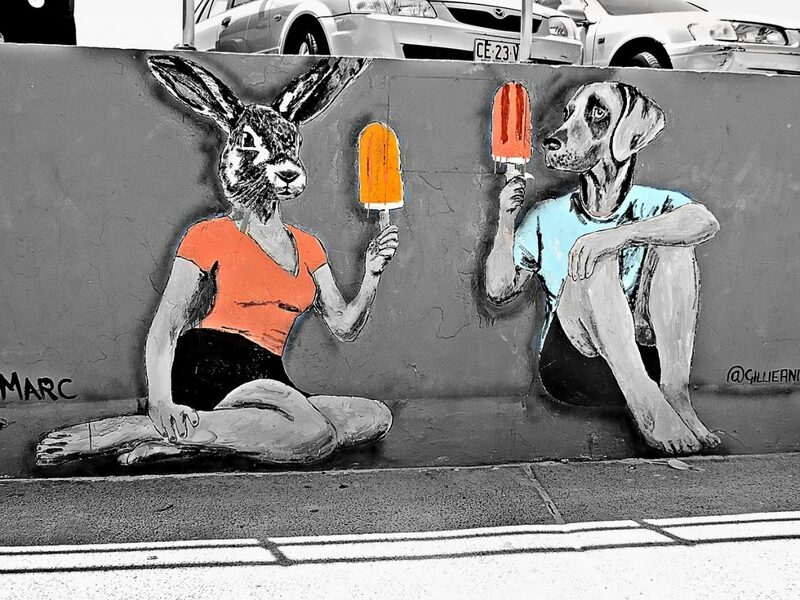 While in Bondi itself, you’ll enjoy fun bars, cool cafes, funky street art and stunning sunsets. This is an artsy, trendy area – it’s also where most backpackers hangout. To get here from Central Sydney, take the train from Central Station to the Bondi Junction, and then transfer to a bus to the beach. If you’re coming from Circular Quay, you can take bus #333. 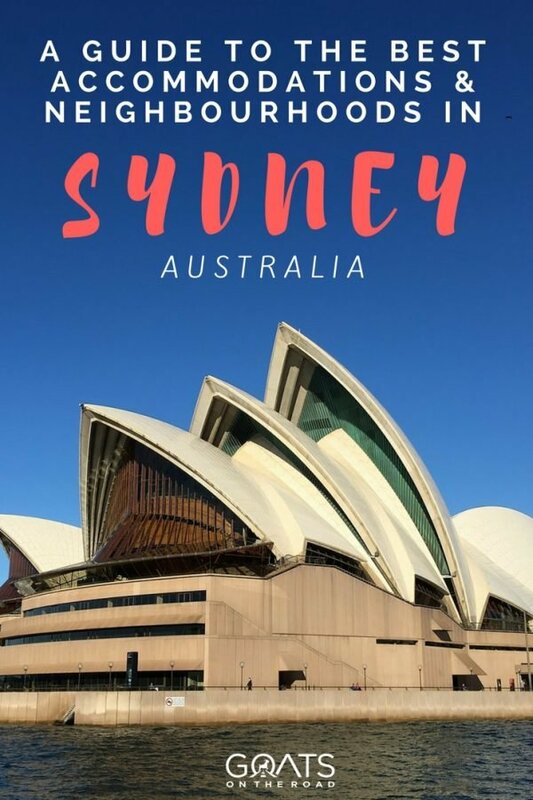 There are quite a few apartment / aparthotels here, which can make your travels to Sydney a bit cheaper because you’ll be able to cook for yourself. There are also some hostels available, but since they weren’t highly rated, we haven’t listed them. Click here to see the hostels in Bondi. This property is just a 2 minute walk to the beach, and offers a wide variety of cafes, bars and restaurants nearby. It also has free parking and free wifi for guests to use. Some apartments have balconies, while all have air conditioning, well equipped kitchens and nice bathrooms. Click here to see the latest reviews and prices on Booking.com. This property is an 8 minute drive from Bondi Beach. These suites offer a fully equipped kitchen with dishwasher, air conditioning in the unit and comfortable beds. The guests have access to a hot tub, fitness center and pool. Plus, many of the self contained suites here offer views of the harbour. Click here to see the latest reviews and prices on Booking.com. Here you’ll be just a 3 minute walk to the beach, and will find lots of restaurants, bars and shops nearby. Each apartment is tastefully decorated and offers air conditioning, balconies, wifi and laundry. You’ll have access to the facilities at Pacific Bondi which includes a fitness center and restaurants. All of the artwork and decor at the apartment is original. This is basically a boutique apartment. Click here to see the latest reviews and prices on Booking.com. Try Surfing. This is a popular beach for surfing and if you need some lessons, check out Let’s Go Surfing. Watch Sunrise / Sunset. Depending on whether or not you’re a morning person, you can catch the sunrise over Bondi Beach. If you don’t love mornings, you can still watch the clouds and sky change colour during sunset. Hike from Bondi to Coogee. This is one of the best free things to do in Sydney. The hike is 6 kilometers long and takes in some spectacular coastal scenery. Chill out on one of the many beaches. 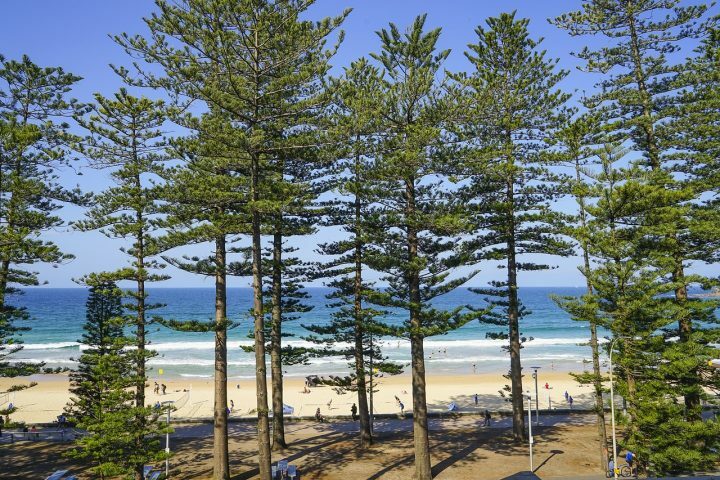 Tired of beautiful Bondi Beach? 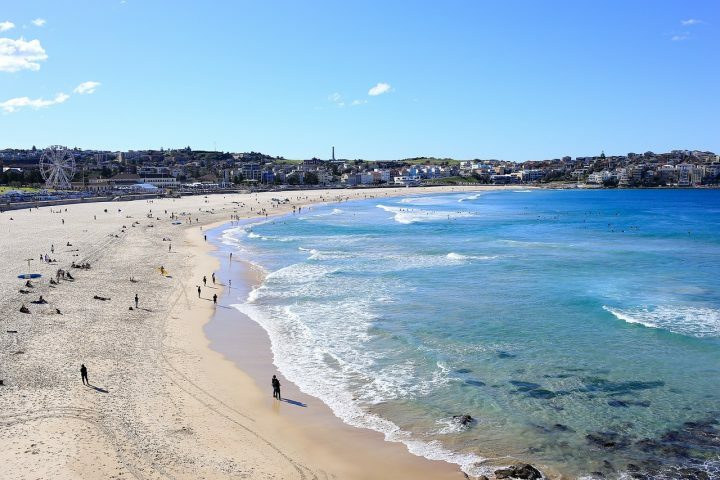 Check out the other nearby beaches of Tamarama, Bronte, Clovelly and Coogee. Swim at the Bondi Baths. This is a great place to swim when the surf is too strong. Check out Icebergs Pool at Bondi and the pool at Bronte. Walk Bondi to Bronte. This is an easy coastal walk that takes about 1.5 hours each way. Eat. There are some fantastic restaurants and bars on the beach, and along the coast. Check out Sefa Kitchen for Middle Eastern food, the surf club / bistro at Icebergs and for pizza, check out Pompei’s. Manly is the northernmost suburb of Sydney and if you have some spare time, it’s worth spending a couple of days out here. Many people just do a day trip from Circular Quay to Manly, and back. But, if you stay past the day trippers, you’ll find a quieter Manly to enjoy. Q Station Hotel – Rated “Very Good” 8.5/10 and 9.2 for location on Booking.com. This boutique hotel is filled with history and there are numerous tours on offer here. The location of this accommodation is on point – it’s just a 1 minute walk to the beach, and directly opposite the ferry wharf. The rooms on offer range from studio, 1 bedroom and 2 bedroom suites, with kitchens. Guests have use of the fitness center and sauna. Click here to see the latest reviews and price on Booking.com. Just a 1 minute walk to the beach, this boutique hotel offers a swimming pool and spa, and an onsite restaurant. The rooms are stylish and many have fantastic views of the ocean. All accommodation has balconies. Click here to see the latest reviews and price on Booking.com. Go biking. Manly has 20 kilometers of dedicated biking trails just waiting for you to explore. Rent a bike and get out there. Check out the Beer and Brewing Company. The 4 Pines Brewing Company is the place to be. The food is good, the beer is brewed daily and the live music is awesome. Check out their daily specials. Go Kayaking. You can hire a kayak, SUP board or a boat and escape the crowds. Q Station. 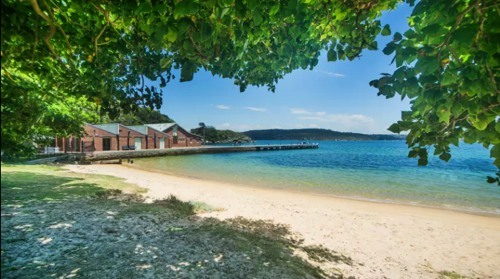 Not only can you stay here, but you can visit and learn more about the history of North Head Quarantine Station. From the 1830’s – 1984, migrant ships that were arriving in Sydney and were suspected to have disease were brought here and put in quarantine. There are numerous tours here. North Head Sanctuary. This wild area is just in Manly’s backyard and offers a mix of nature and history. You’ll find military relics, a diverse range of flora and fauna and stunning views of the harbour. You can do self guided walks here, or go biking. Some consider this to be the hippest area of Sydney. If you’re into cafe culture, cool boutiques, dancing all night, or the gay community, then Darlinghurst is where to stay in Sydney. 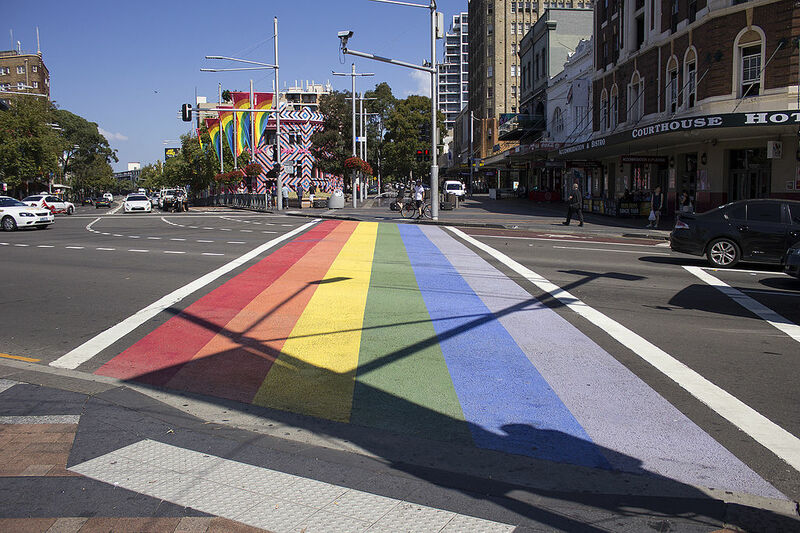 If you want all of that minus the gay community, but with an added bit of grit, then you’ll want to be in Surry Hills. There’s always something going on in both areas, so when you’re planning where to stay in Sydney, consider these fun neighbourhoods! There are numerous places to stay in this area, with most of them being apartments and holiday homes for rent, but there are still a few good boutique hotel options and hostels as well. Another good budget option in Surry Hills. The location of Big Hostel is great – 10 minute walk to Darling Harbour, 5 minute walk to Central Station and just on the edge of Chinatown. At this hostel you’ll find a rooftop terrace, BBQ, shared kitchen, laundry, common areas and more. Dorm and private rooms are available. Click here to see the latest reviews and prices on Booking.com. Bounce Sydney – Dorms from $34, Double Rooms from $129, Rated “Superb” 9.0/10 on Booking.com. This is an excellent budget option in Sydney! The location is on point with Crown Street, Oxford Street and Chinatown just a 10-15 minute walk away. Bounce is located directly opposite the Central Railway Station, making getting around Sydney a breeze. There’s a rooftop terrace, BBQ, wifi, a TV room, communal rooms, fully equipped kitchen and more. There are dorm beds and private rooms available. Click here to see the latest reviews and prices on Booking.com. The best part of this hotel is probably the rooftop terrace with fantastic views of the Sydney Opera House and Harbour Bridge. All of the rooms here have a microwave, fridge, wifi, TV and coffee maker. Some of the rooms have balconies and full kitchens. 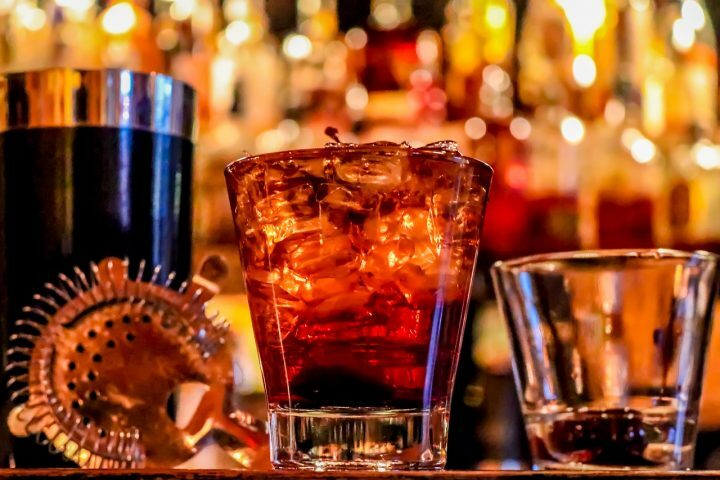 The location of Morgans is excellent with Oxford Street just a 10 minute walk away, and you’ll be close to the bars at Kings Cross. Click here to see the latest reviews and prices on Booking.com. This 5 star hotel has excellent customer service and a casual, yet chic setting. Some of the rooms here have a kitchenette, but all of them offer TVs, private bathrooms, wifi and a desk. There are numerous places to eat and drink nearby. Click here to see the latest reviews and prices on Booking.com. These apartments are a boutique style, offering guests a comfortable stay with incredible views of Eastside or the City from a private balcony. The kitchens here are well equipped and offer an oven and a dishwasher as well. There’s onsite reception, a tour desk and a restaurant. Click here to see the latest reviews and prices on Booking.com. This apartment in Darlinghurst offers views of the incredible Sydney Harbour Bridge. The kitchen here is equipped with an oven and dishwasher, while the living area has sofas and a TV. There’s private parking here as well. The apartment has 3 bedrooms and sleeps 8 people, so it’s a good bet for a group or a family. Click here to see the latest reviews and prices on Booking.com. Sydney Jewish Museum. Showcasing the Jewish history from the First Fleet and the aftermath of WWII when Australia became home to survivors of the Holocaust. Australia housed the most Jews per capita after Israel. Afternoons or Sundays are the best time to visit to avoid the hoards of school groups during the mornings. Picnic in a Park. Bring a blanket, some food and wine and spend the afternoon at one of the many parks in Surry Hills. Check out Ward Park, Frog Hollows Reserve and Shannon Reserve. Visit the Winery on Crown Street. This place offers exceptional wines (and other drinks), plus a matching food menu. Don’t miss the cheese boards with wine pairing! Create Your Own Pub Crawl. In Surry Hills, there’s no shortage of pubs. From sleazy and gritty to modern and chic, there’s a pub to suit your mood. A few must sees are The Cricketers Arms Hotel Pub (established 1909), Dove & Olive and The Taphouse, both serving craft beers and good food, and This Must Be The Place which serves up signature spritzes and cocktails. Visit the Market. Surry Hills Market is held on the first Saturday of each month and is where you’ll find handmade products, antiques and fashion. Watch a Show. Golden Age Cinema and Bar is a cool little theatre showing old movies and art house films. There’s also an onsite bar. Enjoy a Drag Lunch. Every Sunday at Puntino Trattoria, there’s a Drag Show with bottomless brunch and beverages! Music, a show, food and booze…what more could you want? Soak up the Nightlife. The party never ends in Darlinghurst. People from all suburbs of Sydney flock to this neighbourhood to enjoy the nightlife. From cocktail lounges, to chilled out pubs and rowdy clubs, this area has it all. 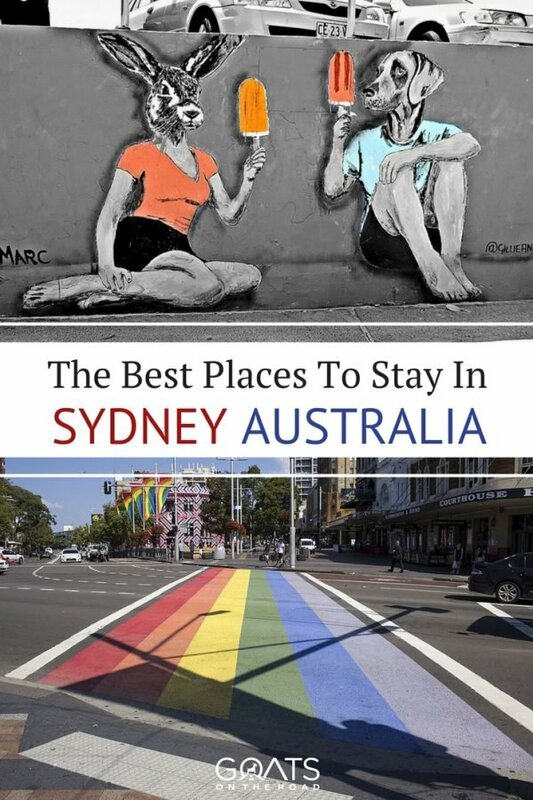 Where Will You Stay in Sydney? Sydney is a city that has something for everyone. If you have enough time, consider spending a few days in each neighbourhood, rather than just making day trips. But, if you’re short on time, it’s best to base yourself in the central area and explore from there. 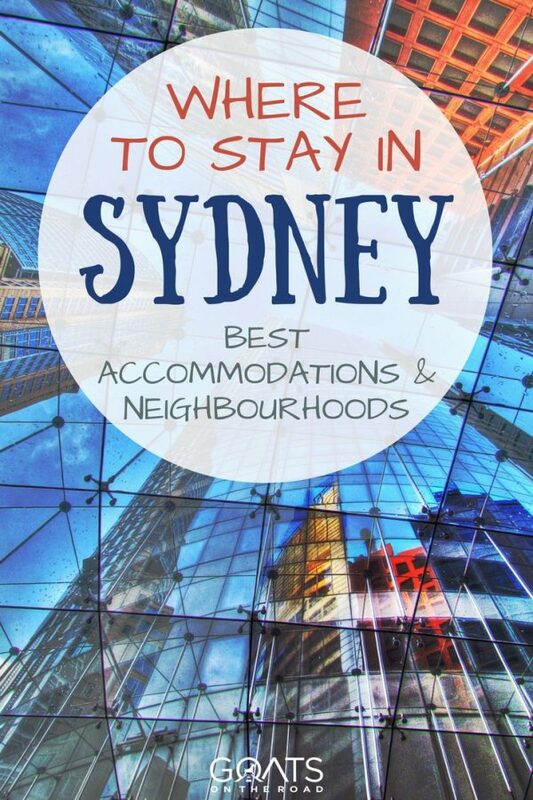 Hopefully this guide helped you decide where to stay in Sydney. Happy travels! I made a ‘typo’ in my comment. ‘Ignored’ should be ‘among’. Also Potts Point is the more refined side of Darlinghurst. At top local visit for breakfast, brunch or lunch is the Saturday morning market at Potts Point Market located near the famous ‘Kings Cross Fountain’. When in Potts Point stroll down to woolloomooloo then continue onto the Botanic Gardens – be sure to walk past Andrew Boy Charlton Pool then keeping walking along the waters edge to reach Lady Macquaries Chair to turn the corner and reveal the stunning site of the Opera House and the Harbour Bridge. It’s a vantage point too often missed by so many visitors. Thanks for this. Planning our first visit in December. Looking for a reasonable prices place for 2 in the beach suburbs if possible.